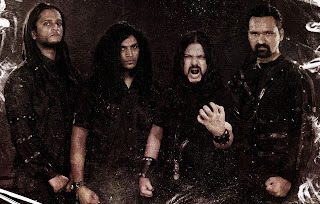 Demonic Resurrection Announces Line-Up Change And Releases Video for "Vamana -The Dwarf"
Nishith had this to say about it, "No matter how much we want things to be the same, life is all about change. Sometimes it’s for the better and sometimes it’s not. I have had a glorious 5 years with Demonic Resurrection and it will always remain very close to me, the journey I was a part of. But priorities change and you have to do what you have to do. I wish my friends in DR all the very best for all their future endeavours and hope they reach greater heights. As for me, my journey with them ends here!" Sahil comments, "It's been a pleasure having Nishith be a part of this band and we're definitely going to miss having him around. His contribution has been invaluable and you can hear his musical genius on the recordings of Dashavatar. They are part of the history of DR now. Demonic Resurrection have released another official video of a song from their last album "Dashavatar" via the band's official channel which you can find HERE.